Johnny Telafone might just be the guy to save Australian R’n’B. This new track, this expression, this prayer is significant because it takes convention as it applies to rhythm and blues and dunks it into a barrel of midnight blue emotion. It’s depressive and overblown in the best possible way – it is a slice of romanticism illuminated in hazy neon. ‘The Prayer’ is a lush yet skewed take on the soulful elements of R’n’B. It oozes a different kind of lust, one that feels cold when a drop hits your skin. This song tingles and buzzes behind the synth-pulse. It aims for communicable desire; perpetual goosebumps. Jonny’s vocals are at a mid-point between angelic and honest expulsion and bleak desperateness. The thing about R’n’B is that plenty bring the rhythm but less and less bring the blues. I am a fan of the work being done by the likes of Oscar Key Sung and Movement yet their brand of R’n’B seems completely different from that of Jonny Telafone. Maybe it’s their tendency towards electronica (although this song has plenty of electro to spare), or how despite their separate approaches, still follow a mainstream formula or end up with a mainstream product. I don’t want to diminish what they’ve done as I am still a fan, but JT here seems to have his finger on a different pulse, a slightly offbeat curiosity. 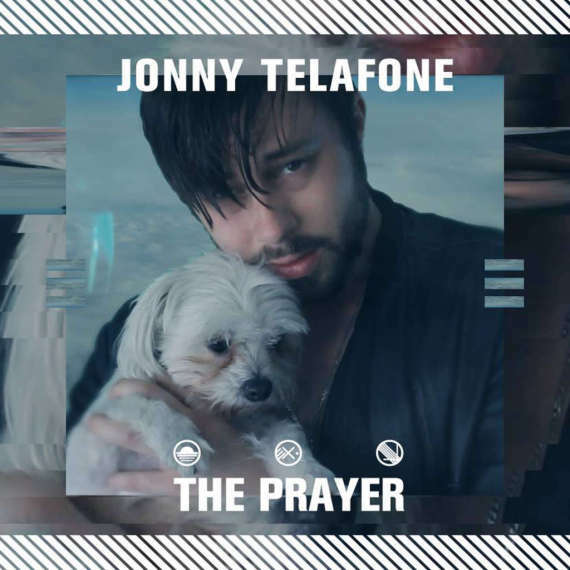 ‘The Prayer’ is the first slice from Jonny Telafone’s next album Romeo Must Cry, due out on Chapter Music next year. This clip is a look at his overt vision and persona, yet feels in proper moderation with his current sound – theatrics playing a vital role.